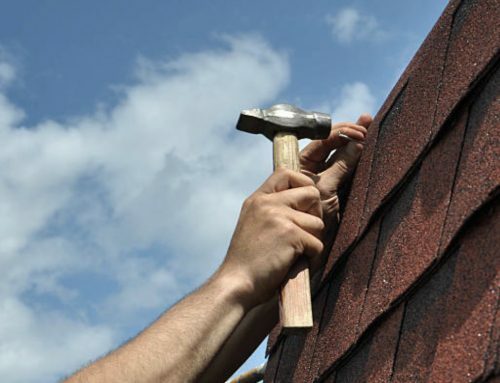 Are you bothered by recurring roof problems? Aside from being an eyesore, there are far more serious issues to deal with. For one, they can be destructive and at the same time costly to fix. We understand the inconvenience that they bring. 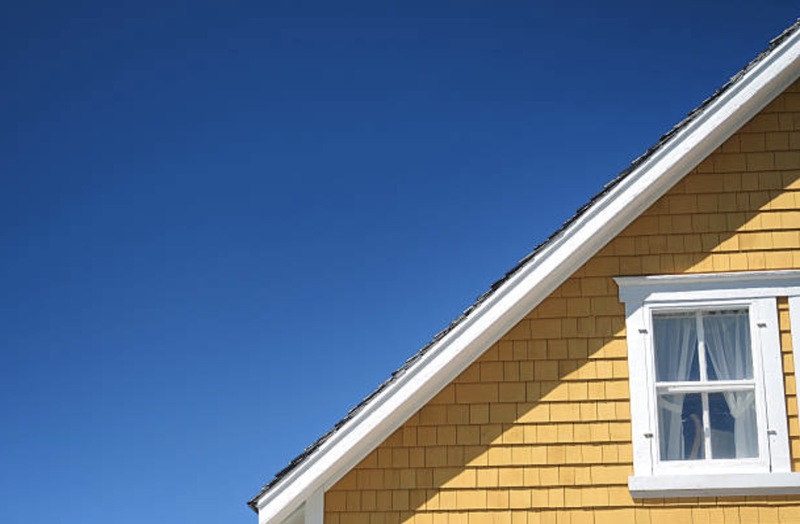 Hence, we shared some practical tips on how Manchester CT homeowners can easily spot roof problems before they get any worse. Before we get down to business, let’s first take a look at the worst case scenario if you let these problems stick around for too long. When there’s an increase in energy consumption, you should expect the utility bills to go up as well. How is this connected with common roof problems? 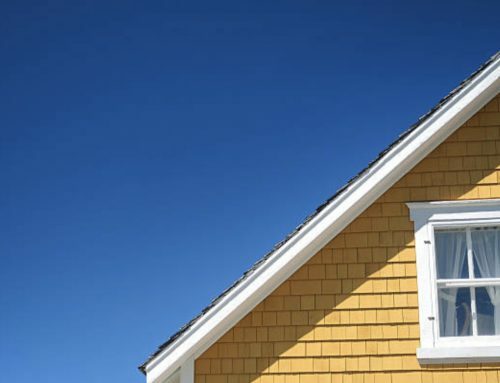 If for instance there are obvious holes in your roofing (which you intentionally ignore), there’s a tendency that your cooling/heating appliances would need to pump more energy. 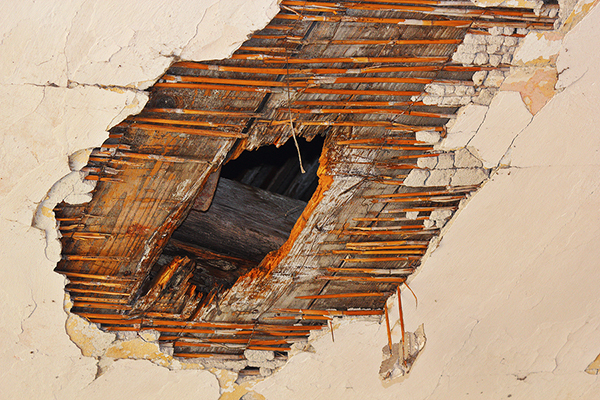 A severe case of ceiling damage due to neglected roofing problems. Holes that cause leaks can also vent air for the wrong purpose which then again will require more power from the appliances. If this is the case for a long period of time, you will notice how it can affect your monthly energy bills. Aside from the added cost, it’s also not eco-friendly as you demand more usage from cooling or heating equipment at home. Wet or damp areas that are not addressed properly can lead to many destructive outcomes. One of them is plant growth. If you notice a build-up of dark stains, these could probably be molds that are starting to infest your property. Many people may think that molds are normal. Contrary to this, molds shouldn’t be part of your homes in Manchester CT simply because they are harmful to your health. Also, the more they spread out, the harder it is to mitigate their growth as they can spread on your walls, attic, and literally anywhere. Molds are proven to release toxins to the air. When inhaled, especially by infants and children, it can cause allergic reactions, may trigger asthma, and bring other respiratory health issues. Not all animals are great for Manchester CT homes especially is these are the likes of rodents, raccoons, large insects, and other destructive animals or pests. Usually, if you leave holes lying around, they can be an entry point not only of rainwater and sunlight but also of uninvited beings. Dealing with infestations could be a long and tiring process. Hence, our main advise is to address roofing issues that moment you discover them. This is to prevent the situation from getting worst and uncontrollable. Obvious water stains on the ceiling of a house. reach create damage even to surrounding areas. Aside from molds, which we have already explained earlier, it can also compromise the integrity of your foundation. When there’s water all the time, it can affect the material’s composition making it prone to breakage. Furthermore, water damage can also destroy valuables inside your homes like furniture, electronics, appliances, etc. Neglecting minor water damage may also contaminate water lines which have serious health consequences. Having said all of these, the main point is to act on the issues as soon as you can. 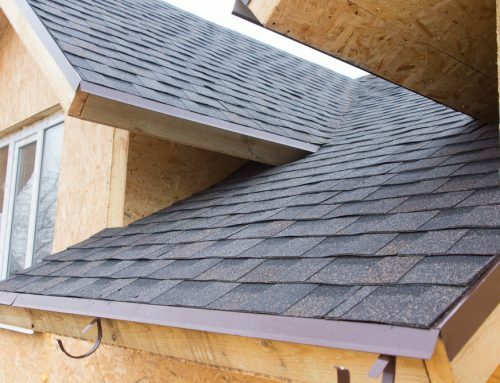 The key to a stable and safe roofing is to schedule regular inspections in partnership with a roofer that you can trust. 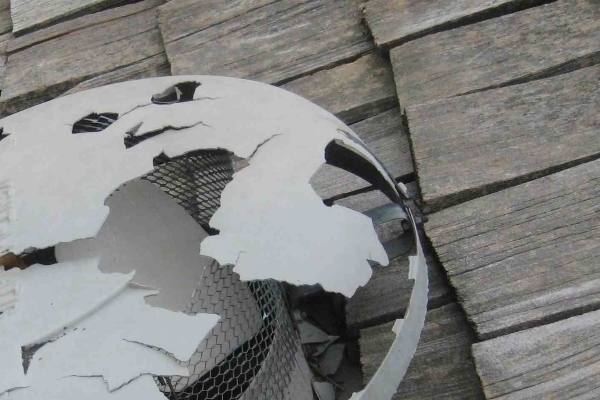 Roof problems, if not given the right treatments, have the tendency to create permanent and irrevocable damages. This puts your property in a bad light especially if you are planning to resell it in the future. For ordinary people, the idea of losing a value is not too pleasing. 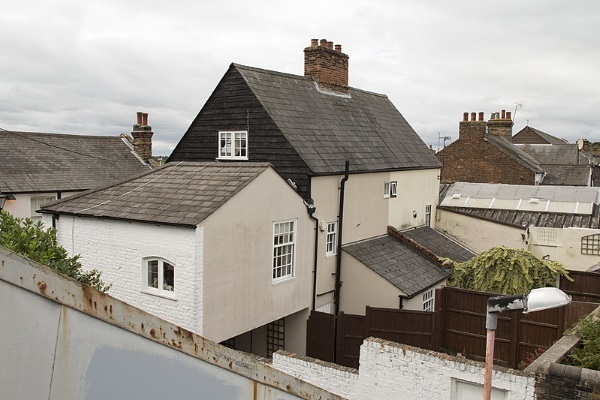 This is the same for your house once it gets to a point when it decreases significant value due to roof problems that you failed to address early on. 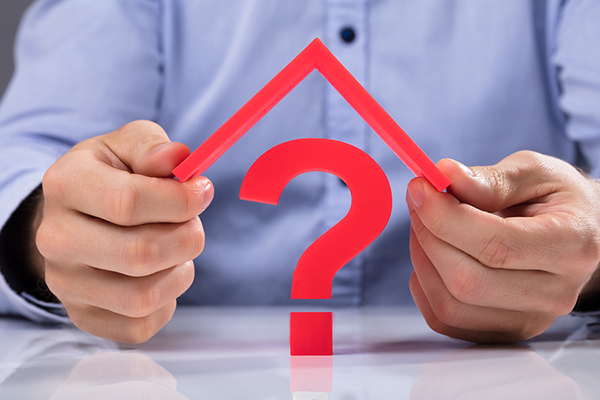 Now that you are already familiar with the possible outcomes of neglecting roof problems, what should you do? The answer is simple — be a proactive homeowner. You have dedicated time and resources in building your dream home, thus, it’s reasonable to give it the care it deserves. In return, you’ll also make the most out of it. Win-win situation! Despite your busy and hectic day, make it a point to pause once in a while. As you slow down, take notice of your property’s welfare by visually inspecting the interior and exterior parts. 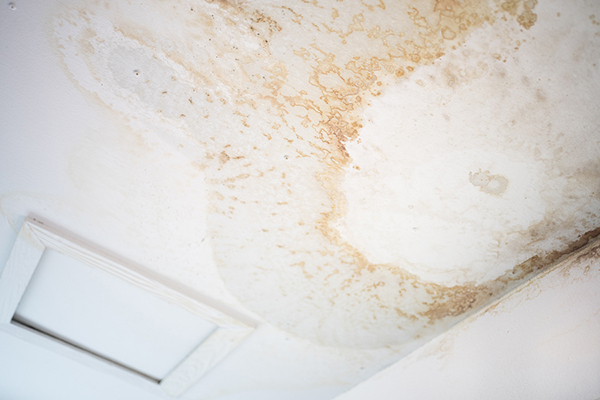 Check the ceiling and walls if there are water stains or unusual marks. You may also step out of the house to see if the gutters are aligned or if there’s a leak somewhere. 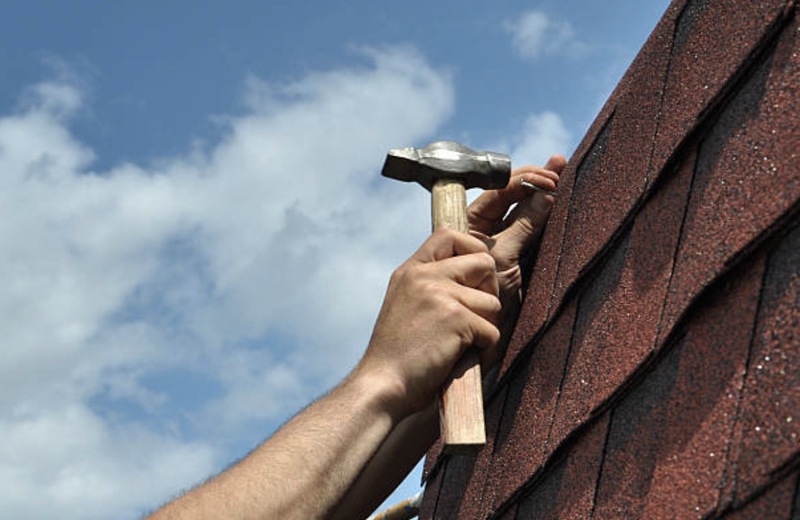 Take a look at your roof as well as try to spot if there are cracked or missing shingles. These basic inspections could make a lot of difference versus being passive about what’s going on around your house. 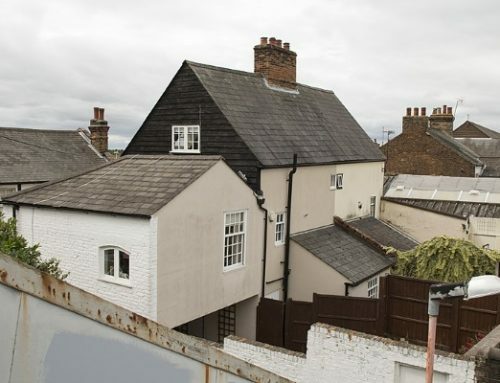 Note that you don’t have to climb up the roof immediately. You can leave this part of the experts. The point of regular visual inspections is to spot possible roof problems before they spread and worsen. Normally, there shouldn’t be any foul smell inside your house. However, if there’s a recurring musty smell that you cannot get rid off, it’s most likely due to molds and mildew. If you notice an unusual smell, try to find out where it’s coming from to know what could possibly be causing this issue. Once you confirm that it’s indeed a mold or fungi infestation (or even if you aren’t unsure about the source), the next best thing to do is to report this to your roofing partner. Admittedly, there’s only so much that you can do as ordinary homeowners. There are other things that only professionals should handle. One of them is the preventive maintenance programs to keep your roofing safe, sturdy, and free from unwanted damages. By letting roofing experts take over, all roof problems, minor or major, complicated or not, are addressed properly. 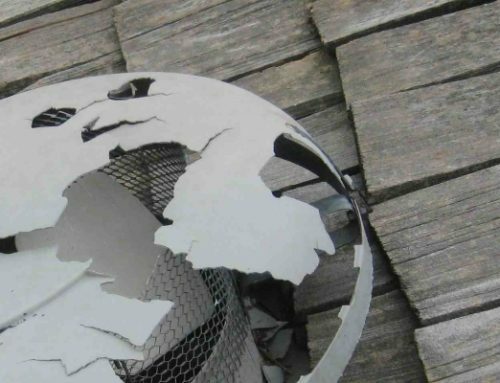 These procedures stop roof problems before they blow up and prevent them from coming back. A well-designed preventive maintenance program presents long-term solutions that your roofing needs for it to reach the maximum level of performance. How do you spot roof problems? Always be two steps ahead by following recommended maintenance programs. 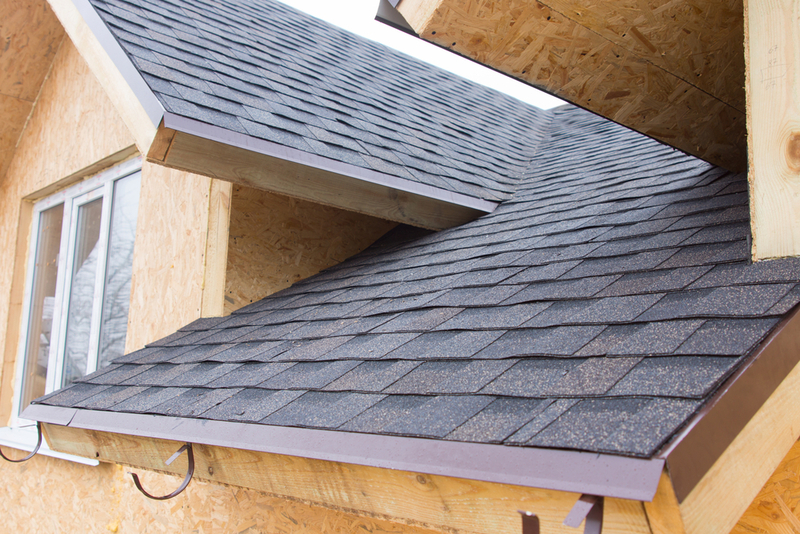 Delaying solutions to your roof problems will only create more severe issues sooner. As much as you can, give it the proper care that it deserves. Should you need further guidance on dealing with all kinds of roof problems, give the Slavin Home Improvements team a call: 860.264.5153.